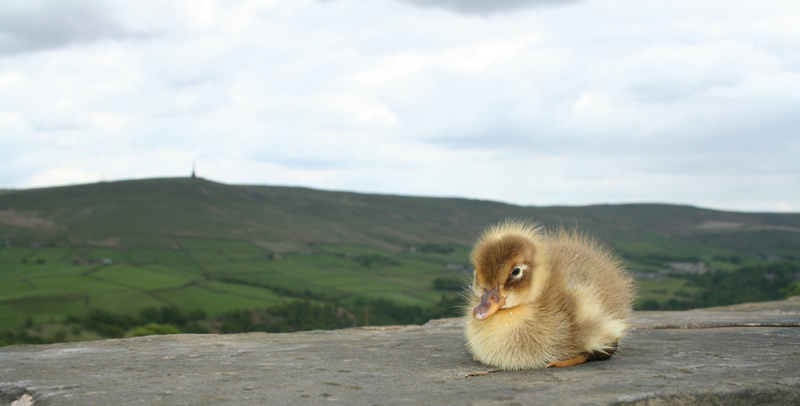 near Hebden Bridge and Todmorden, with spectacular views over Calderdale. Situated in an area of outstanding natural beauty, Whiteley Royd Farm sits 'on the tops' above the vibrant towns of Hebden Bridge and Todmorden and benefits from exceptional views out across the Calder Valley and Stoodley Pike. Whiteley Royd Farm is a great venue for those wanting to make their wedding reception more personal. Hebden Bridge is full of unique little independent restaurants, cafes and shops and has been labelled the fourth "funkiest town" in the world in a British Airways magazine and the Lonely Planet Guide to Great Britain crowned it "Yorkshire's funkiest little town". It was also voted the 2011 Great Town of the Year at the Urbanism Awards in London. Todmorden is nestled at the convergence of three valleys, with fantastic scenery and a great place for walking and mountain biking. It is also home to Incredible Edible who grow and campaign for local food and plant veggies in any available plot around the town centre.